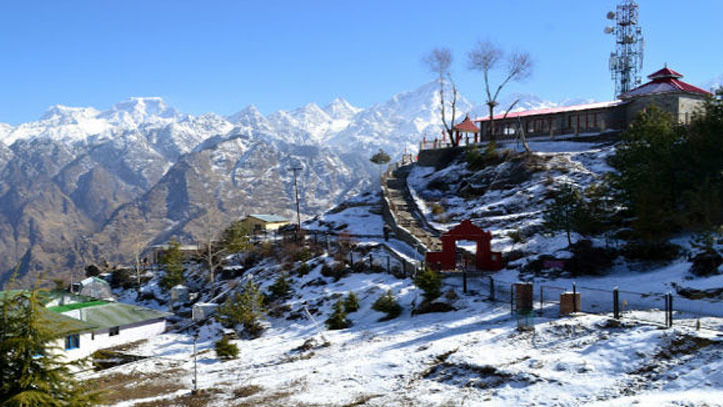 The unique charm offered by Uttarakhand is one of the main reasons why the number of travellers visiting this Hindu pilgrimage site is gradually enhancing. The rich culture, splendid valleys, beautiful views, and numerous snow-capped Himalayan mountains have made Uttarakhand or ‘Devbhoomi’ one of the most visited states. Visit a reliable travel agency and choose a tour package that suits your travel needs the best. Not only should you include the famous places to visit in your trip itinerary like Rishikesh, Nainital, Dehradun, Mussoorie and Haridwar but also the not-so-famous places which are equally beautiful. Located at a distance of 300km from Nainital, Munsiyari is one of the most beautiful places that should be included in all the Uttarakhand Tour Packages. It lies in the foothills of the Panchachuli Peaks and let you enjoy some mesmerising views of sunrises and sunsets. If you are an adventure-lover, use this place as the starting point of your trekking experience. Use Chopta as the base camp of your Chandrashila Trek as this place is often treated as a paradise for trek lovers. It offers some mesmerising views of the snow-covered Himalayan ranges. It is located in the Garhwal district of Uttarakhand at an elevation of around 4000m. Few places of tourist attractions in Chopta are the Tungnath Temple, Deoria Tal, Kalimath and the Madhyamaheshwar Temple, to name a few. Include this hidden gem of Uttarakhand in your tour package and soak the natural beauty and calmness of the land. Visiting this beautiful place in Kumaon is a must if you are willing to take a break from the hectic city life and spend some peaceful time in the pine and dense oak forests. You can also use the mountains if you are undertaking the Adi Kailash Trek. Undertake an evening stroll amidst the vast tea gardens and feel more relaxed. Want to spend your summer relaxing? Visit Harsil and get miles away from the noisy city life. This beautiful place in the hills is quite peaceful. You can simply spend your time sitting on the banks of the Bhagirathi River or undertake a trekking expenditure from Chitkul or Harshil. Don’t make the mistake of not including this gem in your trip itinerary. If you are one of those wildlife or nature lovers planning to undertake a Uttarakhand tour package, visiting Binsar is a must. There is a Binsar Wildlife Sanctuary where you can find around 200 species of birds. Spend your time clicking beautiful wildlife photographs or simply opt for bird watching. Not only will it let you enjoy nature’s beauty but also offer some memorable views of the Himalayan valley and Kumaon Hills. These being said, it’s time you include the not-so-famous places stated above in your tour package and make your visit to Uttarakhand more memorable. ←Why Should You Opt For Bhutan Tour Packages At Least Once In A Lifetime?